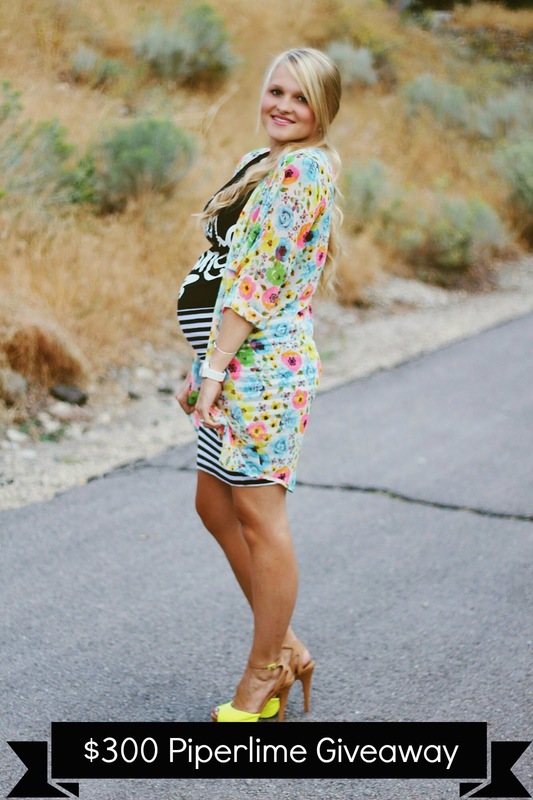 MY SININA: comfy as can be + $300 piperlime giveaway! Hi Uris! I can't accept that it's fall either, but you are looking adorable! 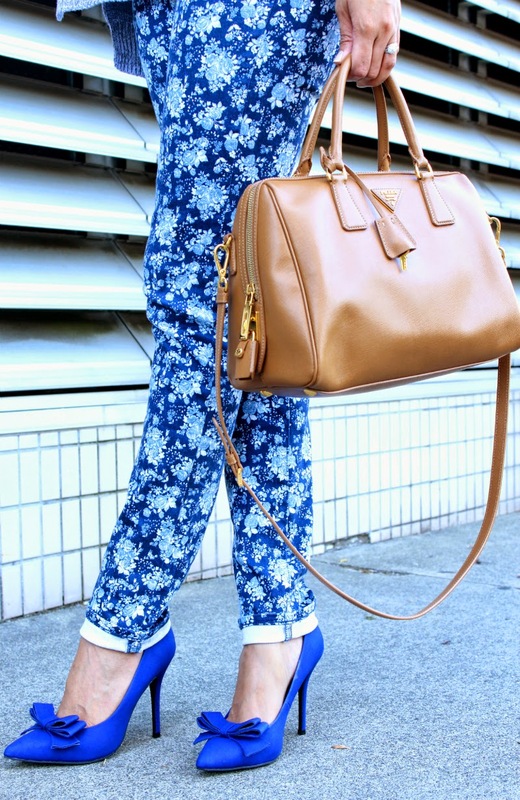 I like how the floral pants are springy yet paired with a sweater and you created a fall look! I also love those heels; I have something very similar in grey from Steve Madden! And seriously, how ARE we going to take photos when it rains and it's getting dark earlier and earlier? I guess we need to be creative and start taking photos inside? I hope everything is ok with you too...I know you mentioned you've been through a lot in the past month :(. Sending you lots of love, Uris, and hope you're having a great Monday! What a great look! I love those pants!! 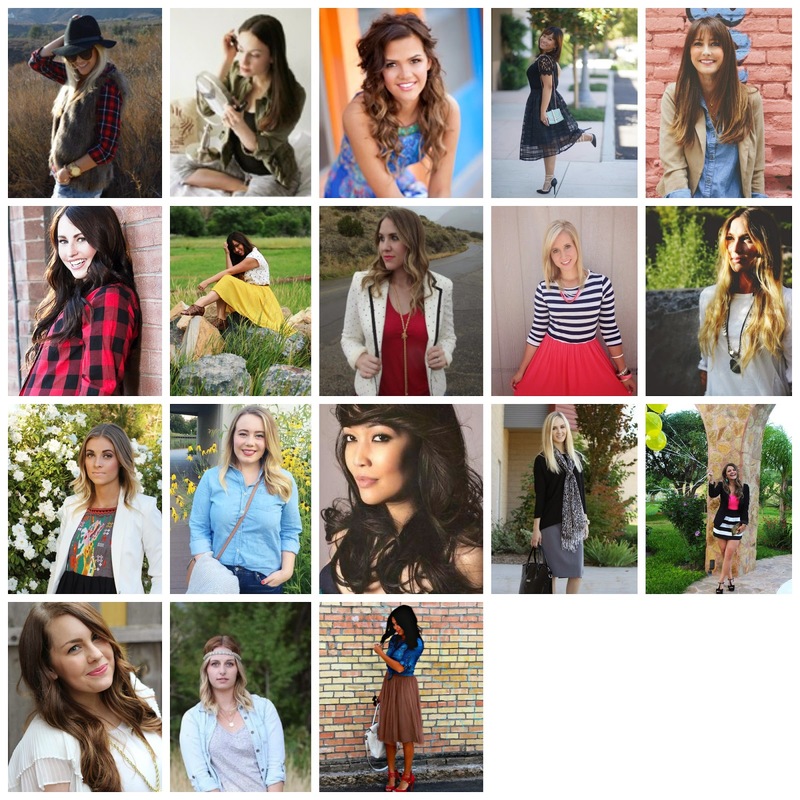 Fall fashion is the best! This look is beautiful. 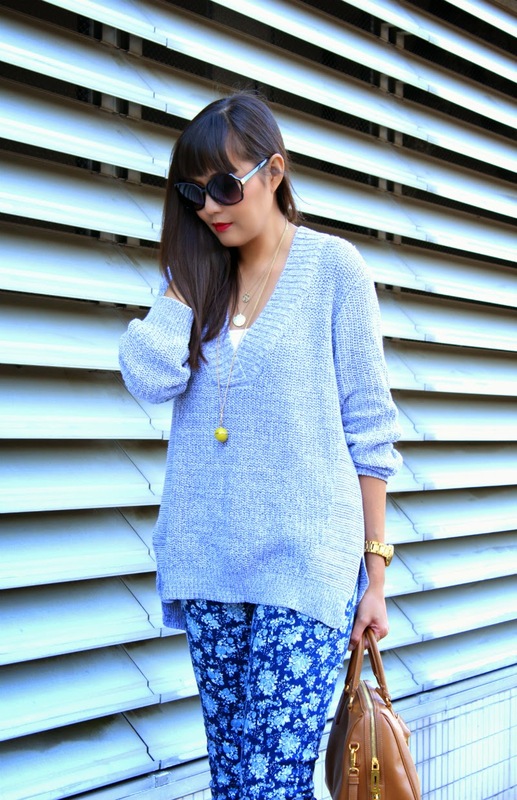 I love the blue shades, the blue floral jeans are stunning and your sweater looks so flattering and stylish! Love the oversized look with heels and fitted pants! Perfection. Those blue bow heels are so gorgeous!! Love them. Fall is my favorite season- at least fashion wise. The fact that we are able to layer makes it so fun to put together outfits! The thing is that fall, for us down here, doesn't come until December/January. ;-( I'm loving your cozy gray sweater. Looks awesome with your cobalt blue heels! I try to enjoy every season for what it offers. Though the calendar says it's fall, it's still very much summer weather here in CA. Love those blue heels - you have some great friends! This is such a chic outfit! Those pants are definitely perfect for transitioning to fall! Loving this uber comfortable and chic look! I have a bunch of oversized sweaters and have been trying to figure out what to do with them and this has really inspired me. Thanks for sharing. Although summer is my favorite season, I see no need to pick a favorite! Just enjoy each one and savor the moments! Love your transitional look with the grey and blue! That's an under-rated, under-used combo and I just love it. You just nail every look and it's so inspiring! You look so gorgeous in blue. And those heels are superb. I'm not really ready to say bye to summer, but I love fall clothes also! That sweater looks so cozy and your shoes are beautiful! I hope you had a great weekend!! This is a rich valuation for a business that is not growing incredibly fast, cheap air jordan shoes and whose underlying core profitability is below 5%. Private equity funds such as KKR, and trade buyers such as CJ Korea Express and XPO Logistics, are all circling the asset, so a sale may occur as early as January. Trade buyers could afford to pay a high price as they would look to bank on synergies; air jordan australia sale while private equity would implement efficiency measures and look to leverage the balance sheet. As for the rump NOL, even if proceeds from a sale of APL Logistics were used to pay down debt at group level – and assuming APL Logistics will carry just a small portion of NOL’s debt after the sale – air jordan australia online NOL’s resulting balance sheet will be stretched, with more than $3bn of net debt.